Select the link, and click on the button up in the editor bar that looks like a link (next to the symbol) the paste the url into the text box and click "Ok"
July 18, 2015 I, too, was deemed to be INTP, Logician. At first I got a little scared because its description sounded so accurate but I think that is one cool website. 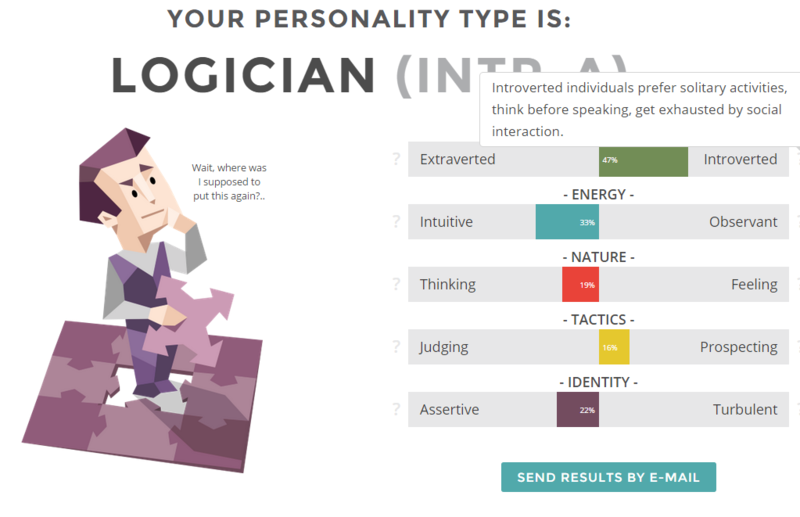 I, too, was deemed to be INTP, Logician. At first I got a little scared because its description sounded so accurate but I think that is one cool website. So, there's this. The cartoon on the side describes it perfectly.